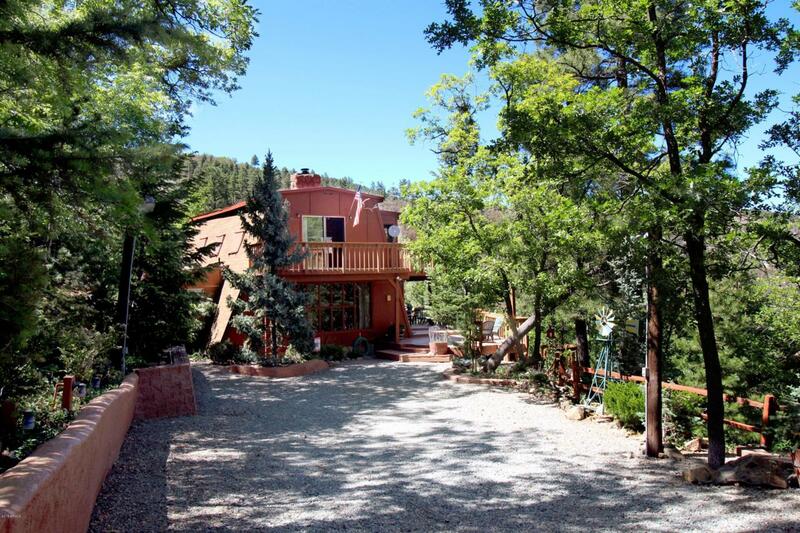 Only 90 minutes from the Phoenix area, this cool mountain retreat has amazing views from every point on both large decks that wrap around each floor. The lower deck is 1,424sf, while the upper deck is slightly smaller. Located at the upper end of Breezy Pines, near the top of the hill, on an acre, with 1970sf of space, it's the perfect place to relax or entertain friends and family. One bath on each floor, with 2 bedrooms on the main floor. Plenty of storage and room for your things. The upper floor has a wet bar, room to watch TV, and a billiards table. An extra bedroom could easily be built upstairs. Outside, there's a child's play house and forest paths to explore. Plenty of parking area. Parking area and all the decks have lighting at night.